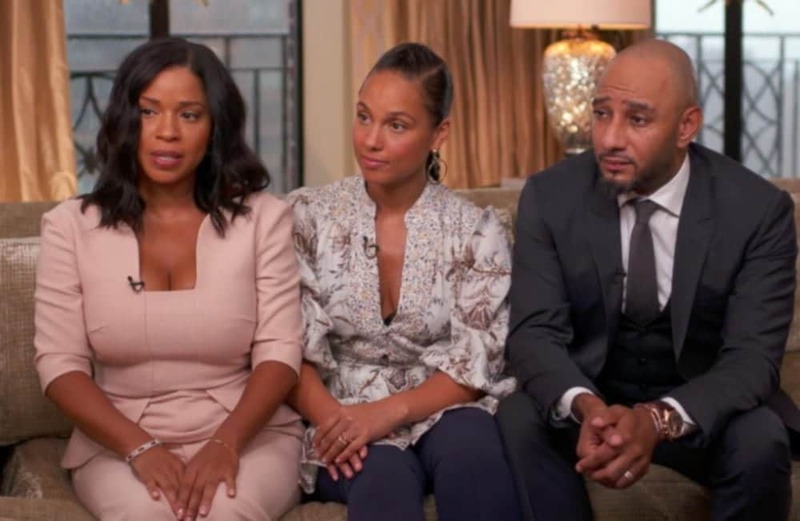 It seems that it’s finally all kumbaya for Alicia Keys and her husband Swizz Beatz and his ex-wife Mashonda Tifrere, who opened up to GMA about coming to terms with co-parenting in a way that brings their family together for the greater good. “Our family’s one big beautiful family,” Keys told GMA’s Michael Strahan. Tifrere is sharing her blended family experience with the world through a new book she’s written called, “Blend: The Secret to Co-Parenting and Creating a Blended Family.” Keys wrote the foreword for the book. Tifrere admits after a painful divorce, it wasn’t even delving into a relationship with Keys and Swizz Beatz. But after seeing how being estranged was straining their son Kasseem Jr., now 11, she decided to do better. “He was, you know, acting out in his own little way,” Tifrere told GMA. Tune into @NightLine on @abcnetwork at 12:30am- Right Now! !